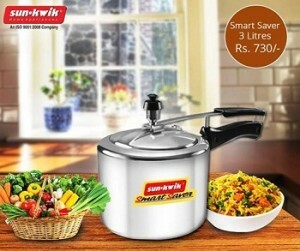 There are different models of pressure cookers available in the market offered by the different esteemed brands but the objective of the buyer lies on the fact that it should be affordable and utilitarian at the same time. The induction base pressure cooker is one of the best choices as they grant the user both the benefit of cooking on the induction cook top and at the same time they extend all the benefits of the most contemporary cookers. They are available in both stainless steel and aluminium. The later is the more affordable and lightweight option. The metal being a good conductor of heat the food is cooked fast. The health part of the metal is bit lower in terms of its other counterpart, stainless steel, Still. If it is economy u are looking for then aluminium is the best option available. Stainless steel is a non porous, and heavier metal and that is the reason the pressure cookers made of this metal are the most useful and beneficial ones. They are more attractive to look at and are the more durable ones on the list. They can be used for years at ease. The lustrous finish and the good looks are the foremost reasons that they are chosen as the first option. The metal is also a good conductor of heat and that is why they cook the food well. It is good to choose a model that bears a layered base and which is compatible to the induction cook top. They are the foremost reasons that enhance the level of performance and characteristics of the cooker. One can choose the size of the pressure cooker in accordance to their family needs. The bigger would be the family; greater should be the size of the cooker. If the cooker comes with an induction base pressure cooker then cooking becomes a much more delightful affair. 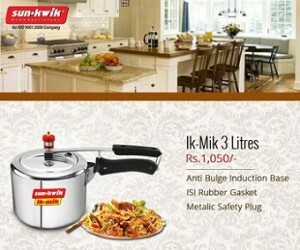 So, select the cooker according to your need and your family will have an all new dining experience. The pressure cookers efficiency is determined through survival and the constant pressure that will show the pressure while you are cooking a meal. Operating pressure should be remaining constant and should remain constant all throughout your cooking cycle. In the year 1917, the USDA set a standard of the 15 psi in regards to pressure cookers that are manufactured in the united states and destroy any kind of microorganisms, including salmonella and botulism that you can find all forms of food and organized food. How do you plan to use your pressure cooker? Is it for both canning and cooking. To use the pressure cookers, stop choosing canned foods, since canned foods do not meet the USDA standards for those that are best suited for both meal cooking and canning. Which pot size is enough to fill up the family. 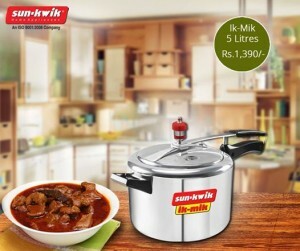 Many pressure cookers these days comes with more than one pressure for cooking various forms of foods. This will provide versatility in the cooking of various different forms of food. What forms of warranty does your manufacturer offer? They should be long enough in order to find the best return on environment. If you would be able to find a short warranty period, it will put you at the mercy of the manufacturers where you might have to replace the old one with a new one in place. You must also find replacement parts if they are available for your computer. These are some of the important factors that you must choose before you consider buying pressure cookers at one point of time.